Superior Tube Products Inc. is a family-owned contract manufacturer that specializes in the fabrication of metal tube and pipe, parts and assemblies. Superior Tube Products Inc. was founded in 1991 with three staff members, but now has about 50 employees. Superior Tube Products Inc. is a complete one stop solution for clients with their bending, laser cutting and robotic welding capabilities. The reason they invested in a tube machine was due to industry trends, quoting activity and years of intense research. Based on Superior’s analysis of market needs, they made the decision to target the growing demand for larger, structural tube applications. 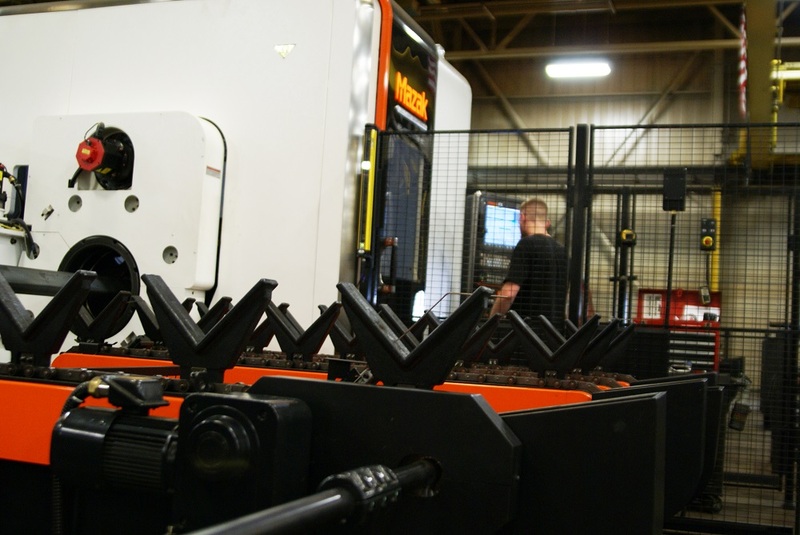 Featuring a powerful, high-precision 6-axis laser, the 3D FABRI GEAR 400 can handle larger, longer, thicker and heavier material than similar machines due to its rigid work piece handling system incorporating a four chuck design. 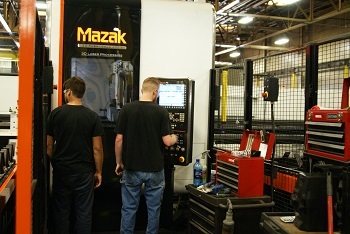 The FABRI GEAR 400 has impacted their business positively by enabling Superior Tube Products Inc. to expand their business into new markets and reducing labor costs due to the material handling efficiencies of the system. What was taking two operators prior to owning the FABRI GEAR 400, now only takes one operator. 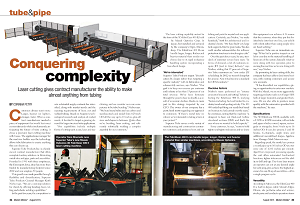 Full article written by Corinna Petry and published in the August issue of Modern Metals.